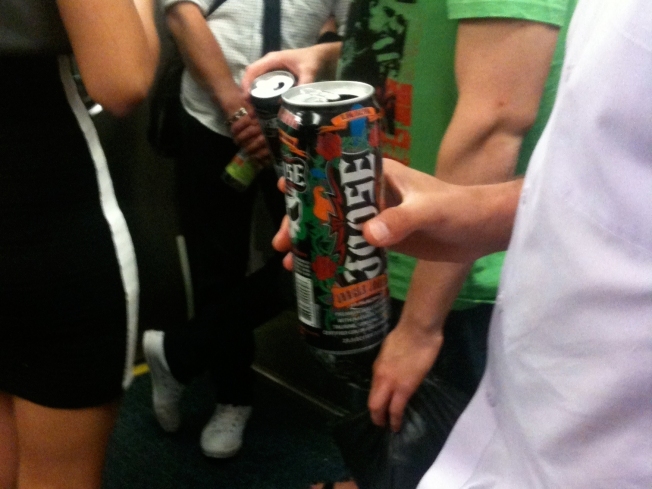 Beer snobs protest ban targeted toward "alcopops"
If a new bill becomes law, you might not be able to enjoy Jungle Joose in California. Assemblyman Jim Beall, a Democrat representing San Jose, has sponsored a bill that would ban the sale of products that mix booze with caffeine in California. Back in November, the Food and Drug Administration started looking into possible health problems associated with the drinks, and Anheiser Busch and Miller-Coors discontinued their Sparks and Tilt brand beverages under political pressure, but other brands popped up. But one group that probably wouldn't be caught dead drinking sparks objects -- beer lovers. They worry that beers like Lagunitas's Cappuccino Stout could get caught in the crossfire. If the drinks are banned, you can always bootleg brew your own at home. Or, you know, just dissolve some meth in your Pabst Blue Ribbon. Whatever keeps you up and drinking! Jackson West never tried Sparks, and frankly never would.